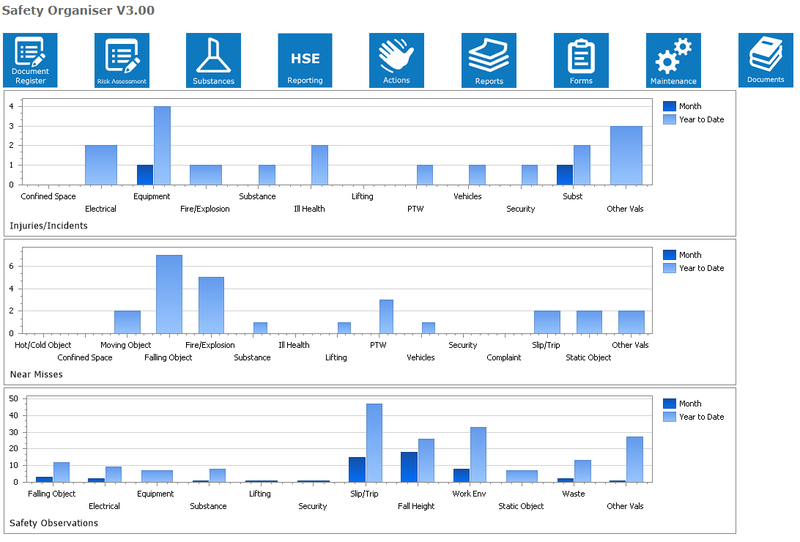 One of our customers uses Safety Organiser across a number of sites and wanted to display accident and incident performance on the home page of their program. The charts below show combined Accidents/Incidents, Near Misses and Safety Observations for the user’s site. The figures are updated in real time in the program to show a breakdown by category.